Milton Criminal Lawyer, Morrie Luft, represents clients charged with criminal or drug offences throughout Milton and the entire Halton Region. If you are charged in Oakville, Milton, Burlington, Halton Hills or anywhere else in Halton Region, your charges will be heard at the Milton courthouse located on Steeles Avenue East in Milton, Ontario. The courthouse in Milton hears all adult and youth cases for the Halton Region. Ensuring that you hire the right Milton criminal lawyer to defend your case is essential to successfully defending any criminal charge. Morrie Luft is an experienced criminal lawyer who passionately fights for the rights of his clients and will not give up on a case under any circumstance. Morrie Luft represents clients in Milton, Oakville, Burlington, Halton Hills and anywhere else in Halton Region. 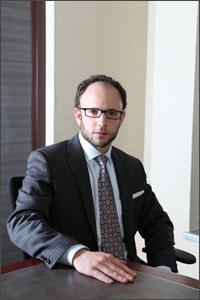 Contact Morrie Luft at 416-433-2402 if you have been charged with a criminal or drug offence.